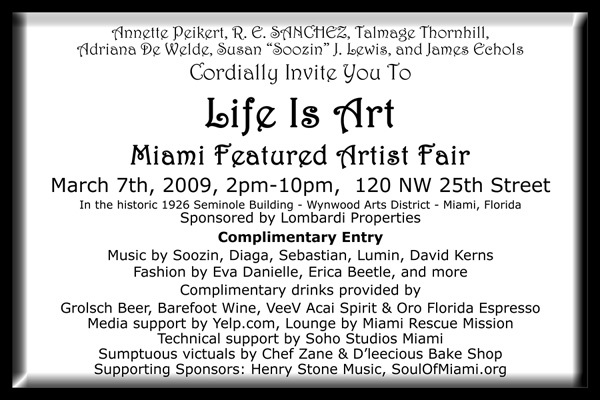 The fair is being held at the historic 1926 Seminole Building, also called the Terminal Lofts, in the Wynwood Arts District at 120 Northwest 25th Street on March 7th from 2:00pm to 10:00pm. The visual arts are accompanied by music, fashion, performance, food, and, of course, drink. 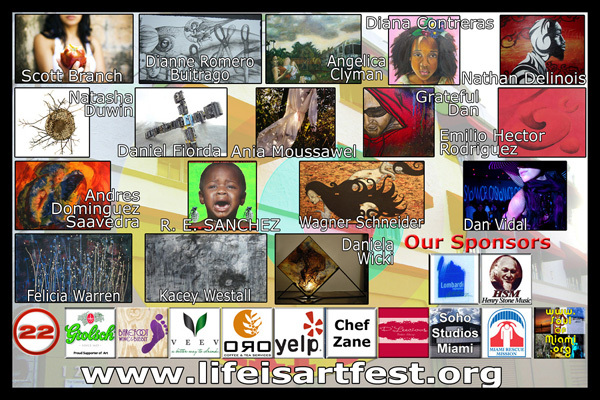 Life Is Art, Inc. is a new non-profit organization dedicated to the promotion and support of the artistic and creative community in Miami and beyond.